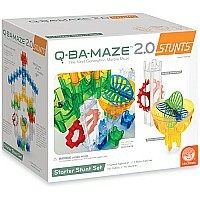 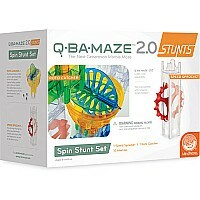 Add these stunts to any Q-BA-MAZE 2.0 marble runs you already have, and put the laws of motion to the test! Zoom Stunts add-on set includes 2 Coaster Tubes, 1 Marble Vortex and 10 Marbles. 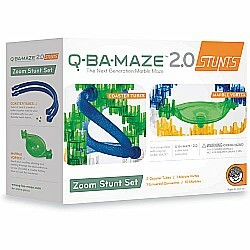 Cubes not included. 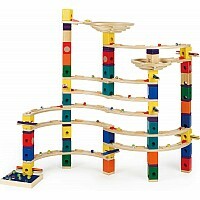 Measures approximately: 9.10 x 7.00 x 3.90 inches..